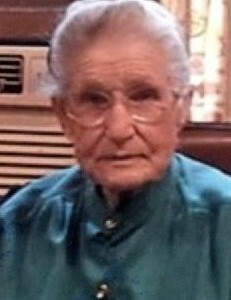 Reba M. Lane age 96 of Gary passed away on Sunday December 2, 2018 at her home. She is survived by her children: Bruce (Sandy) Lane, Helen (Charles) Quillen, Judy (Late Gene) Perry, Buddy Lane, David (Debbie) Lane, Bobby Lane, and Tommy (Late Tammy) Lane; daughter in law: Linda Lane; numerous grandchildren, great grandchildren and great -great grandchildren; brothers Jim Williams, Don Williams, and Jack (Bonnie) Williams; and by her special niece Janie. Reba was preceded in death by her parents Alfonso and Pearl Williams, her husband Raymond Lane and by her son Ronald Lane. Funeral services will be held on Friday December 7, 2018 at 12:00 noon at White Funeral Home located 921 W. 45th Ave. in Griffith, Indiana with Pastor Randell Spence officiating. Burial will follow at Calumet Park Cemetery in Merrillville. Friends may meet with the family on Friday December 7th from 10:00 am until 12:00 noon. Reba was a dedicated wife and mother. She was well known for baking German chocolate cake, Turkey dressing, and her sweet potato pie. Reba also enjoyed her puzzle books, Bit -o-Honey candy, and fellowship at her church, the Church of Jesus Christ in Portage, Indiana. Reba was a simple woman who lived a simple life. She will be especially missed by her caregivers Judy and Bobby and by those who knew her.